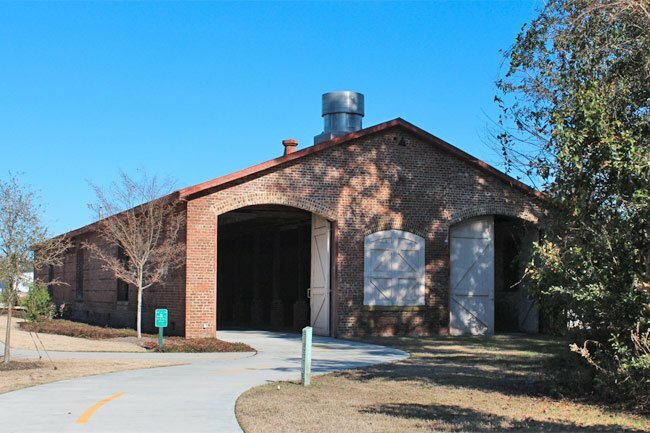 The former Beaufort Depot, constructed in 1901 as a stop along the Charleston and Western Carolina Railway (fomerly the Port Royal and Augusta Railway), is now the focal point of a popular walking and cycling trail. The trail, called the Spanish Moss Trail in honor of South Carolina’s most famous epiphyte, will eventually cover 13.6 miles, beginning in Port Royal and culminating at the Whale Branch Pier when completed. The trail is also known as the Magnolia Trail for its location along the former Magnolia Rail Line, a section of the railroad that received its moniker in 1877 for using Southern magnolia trees (Magnolia grandiflora) as mile markers. The Beaufort-Jasper Water and Sewer Authority obtained the right-of-way to the former rail line in 2009 for use as a utility corridor. The department granted an easement to Beaufort County in 2011 for the establishment of a recreational trail along the route. Both private and public funds have contributed to the trail’s current development, the first mile sponsored solely by the James M. Cox Foundation. 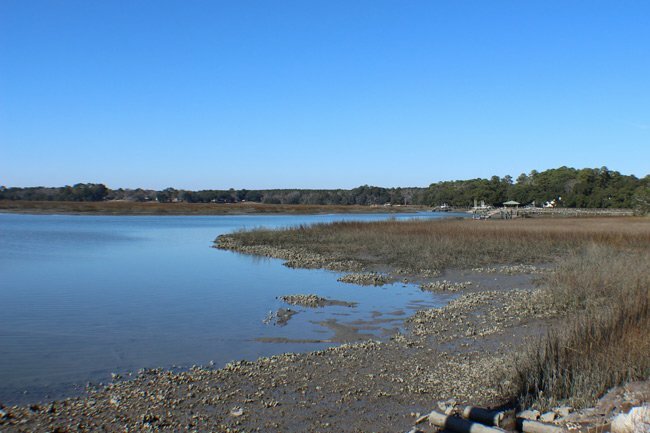 Today five miles of the trail are complete and connect pedestrians and cyclists from Port Royal to Beaufort. The paved trail takes visitors through the some of South Carolina’s most scenic vistas, including marshes and waterways. Trail heads with parking are located at Depot Road, Broome Lane, Westvine Drive and Roseida Road. Love to ride my bike through the old depot. Wonderful smell. Reminds me of the packhouse or old barn on the farm where I grew up.